National Sleep Awareness Week begins on March 6 and it’s a great time to reflect on the quality and quantity of sleep needed to live well. Like many, I find myself more tired than usual this time of year – the winter hibernation that seems to intensify in the hard cold spells of winter. For me though, sleep quality has less to do with the seasons. It’s more of emotional barometer. If I’m not sleeping well, something is probably off and might be linked to a trauma trigger. My journey started more than 20 years ago when I survived a random attempted murder in southern Florida. Nearly beaten to death and three millimeters from being quadriplegic, my injuries were both physical and emotional. The effects of Post Traumatic Stress were almost instant. I couldn’t sleep. What I still reflect on now, after years of healing and many years working in the behavioral health field, is how unequipped our care providers were to recognize the signs of trauma. When I mentioned to my primary care doctor that I was having trouble sleeping, I was simply given a prescription for a sleep aid. The cause was never explored. The simple question of “What’s happening in your life?” was never asked. And unlike a noticeable broken arm, trauma’s wounds are often silent – so without some probing or disclosure, it can go undetected. Sleep disturbance is one of the most common problems victims face following any kind of traumatic experience – and can certainly surface following a violent interpersonal trauma. If you can relax enough to fall asleep, nightmares can prevent a truly restful night’s sleep. Yet sleep is essential to the mental, physical, and emotional healing processes, and a lack of sleep can make an already difficult situation even worse. In the first few weeks following a violent experience, it is helpful to look at sleep in a different light. Your body is “on guard” and your mind can be racing; these are typical physical responses to trauma. It can take weeks or months to “calm down,” and sometimes longer to relax back into a healthy routine. When survivors don’t get enough sleep, exhaustion can set in. That’s especially difficult while your body and mind are working hard to cope, understand, and heal. 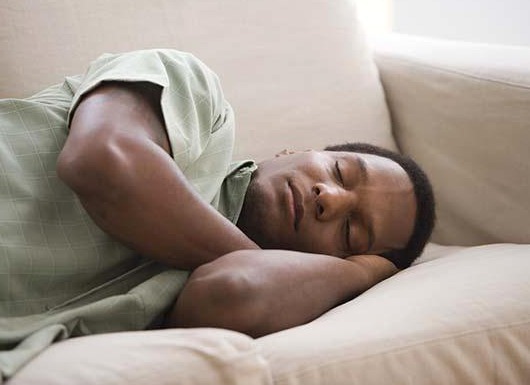 It is common to feel less energetic, so it may be helpful to cut back on certain activities until feeling more rested. Alcohol can be an aid of sorts to help trauma survivors by easing physical and emotional pain and to facilitate sleep, but there are downfalls as well. Research shows that alcohol leads to less restful and lower quality sleep during the second half of the night, and it can damage your airways, which makes snoring worse and breathing more difficult – all playing into a poor night of sleep. It is best to avoid alcohol, especially when sleep problems are an issue. The more you know about sleep disturbance, how to work through it, and when to seek the assistance of a health care provider or sleep specialist, the better you can advocate for your own health and healing. Feeling the need to maintain a high level of vigilance, which can make sleep difficult. Nighttime and darkness can, in and of themselves, bring about added anxiety, and restlessness. Once asleep, nightmares can frighten a survivor back to consciousness, and getting back to sleep can be very difficult. Many survivors use alcohol or other drugs to numb the emotional and physical pain following trauma. These substances can not only impact the healing process, they can also exacerbate sleep problems. Feelings of distress, leading to concentration and focusing problems during the day. Sleep in a location where you will feel most rested and safe. While the bedroom is optimal, it may not be possible to rest there soon after the trauma if you experienced violence in that room. Create an environment in which you can sleep well. It should be safe, quiet, cool and comfortable. While it often helps to sleep in a dark room, if keeping a nightlight on helps bring about a more safe feeling, then consider keeping the room dimly lit. It may also help to have a friend or family member stay in the room, or perhaps in a nearby room, while you are sleeping. Engage in a relaxing, non-alerting activity at bedtime such as reading or listening to music. For some people, soaking in a warm bath or hot tub can be helpful. Avoid activities that are mentally or physically stimulating, including discussion about your violent experience, right before bedtime. Do not eat or drink too much before bedtime and recognize the negative role that alcohol can have on your sleep. Rest when you need to rest. You may need more rest or to rest differently following a trauma. Relaxing and resting for brief times throughout the day and taking short naps (15-45 minutes) may help. Consume less or no caffeine, unless it helps you to be alert when needed. Exercise, but not within three (3) hours before bedtime. Seek the help of a health care professional if sleep disturbance persists. It’s important to get back to a healthy sleep rhythm before physiological shifts take place that are more challenging to address. Helga Luest is a recognized expert in the field of trauma and a survivor of interpersonal violence. She works for Abt Associates where she serves as managing editor of SAMHSA News and a senior communications manager providing support for other federal clients. Luest has been received the distinguished U.S. Congressional Eva Murillo Unsung Hero Award from the Victim’s Rights Caucus for her innovation, efficacy, and advocacy for trauma survivors. She continues her education outreach and advocacy work through the Trauma Informed website and social media groups.